Carol Carpenter is an experienced technology executive who is passionate about high-performance teams that create new market categories. She’s currently the VP of Product Marketing for Google Cloud, one of the fastest growing parts of Google’s business. 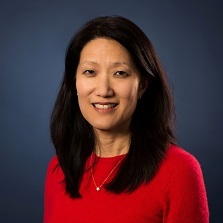 Prior to joining Google Cloud, Carol served as the CEO of ElasticBox, a multi-cloud management platform which she sold to CenturyLink in June 2016. As GM of the Consumer and Small Business Units for Trend Micro, a global security company, Carol grew the revenue by 4x over a 6 year period. She has led marketing at both large and small companies, including ClearSlide, Keynote Systems/Enviz, Tumbleweed and Apple. She earned a bachelor’s degree at Stanford University and her MBA from HBS. Additionally, Carol serves as a mentor for the HBS Women in Technology group, for Monte Jade, and advises a few high-growth tech companies.